My first attempt at styling our kitchen shelves! I didn’t know I would have items already, or that I had been collecting items to fully style three big shelves. 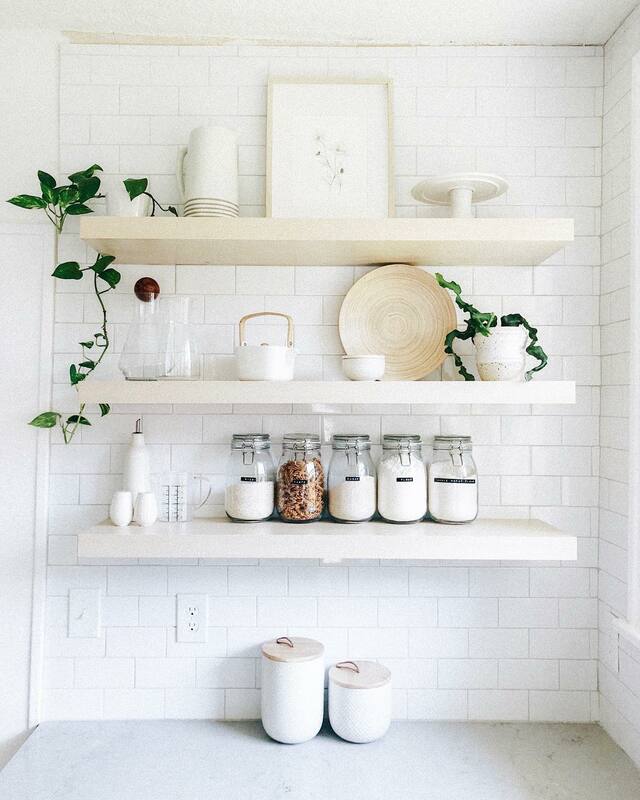 A piece of advice I would give to you is “shop” your own belongings before buying excess, because you probably have almost everything you need to style kitchen shelves! In the end, you might just need to add a print and some plants to fully get the finished look you’ve been dreaming off.